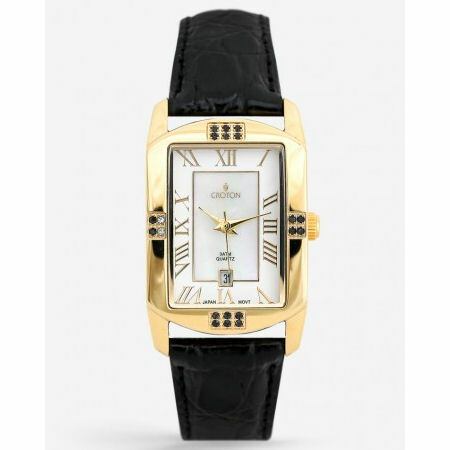 Croton Ladies Gold Tone Crystal Accented Bezel Watch with Black Leather Strap - Model CN207408YLCZ! 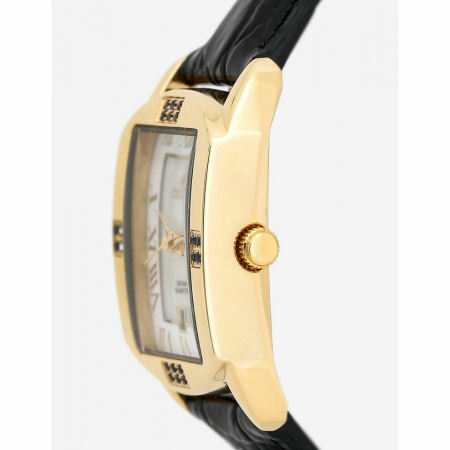 The classic gold tone stainless steel design features a rectangular, 20 crystal-accented case and sharp Roman Numerals on a Mother of Pearl dial affixed to a stylish black leather band. 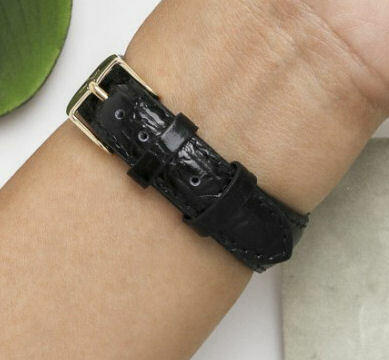 Additional Information: Comes in Croton watch box with warranty and instruction booklet. We will be unable to accommodate deliveries outside of the U.S. & Canada.